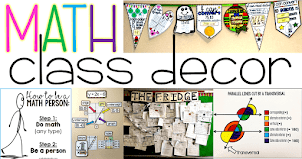 In this post I'll answer some of the questions I have been asked about math word walls. If you have any questions I haven't covered, I'd love to hear from you! 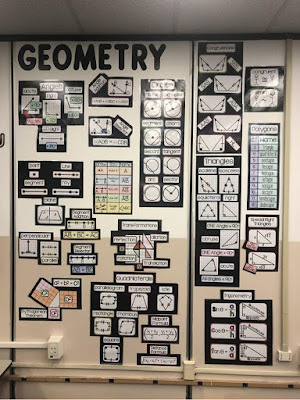 1: "Should I put the whole math word wall up at once or put some up at a time?" I like everything up all year. 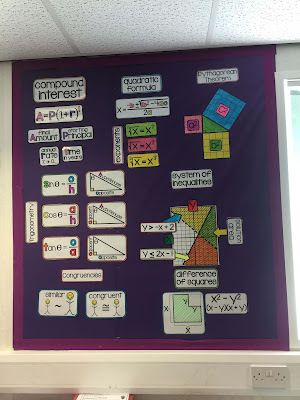 Having all the visuals displayed has allowed me to quickly answer student questions when they come up, point back to topics we have already covered and even to point forward to make links to upcoming topics. One example of this was during our absolute value unit. I was able to point ahead to our quadratics and radicals graphs and say, "When we learn about these functions we'll see their vertices shift in the same way." I feel this manufactures a bit of background knowledge. Also, kids are smart. When their eyes are wandering around the room, I like knowing they may be picking up some information on their own before we even get to it. But this is a personal preference. Any decision a teacher makes that is in the best interest of his or her kids is the best choice. 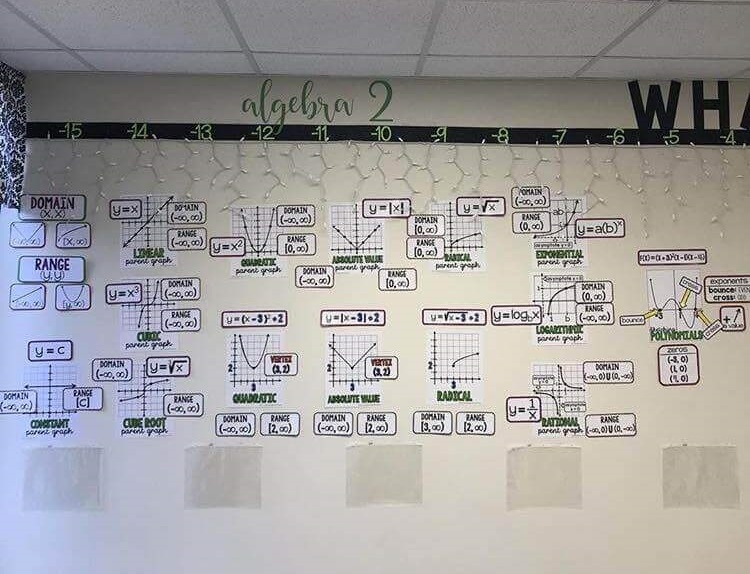 2: "Do you cover your math word wall when testing?" Thankfully, our state test was never administered in my classroom. But for my own assessments, I have never covered our word walls. This is also a personal preference and we may differ here. A school's requirements and its culture will also play into this decision. I feel that knowing how to use information is more important than memorizing. Here in Massachusetts, students are given a reference sheet for our state test so it already feels to me things are shifting away from memorization. Some students have a pretty difficult time memorizing because of learning difficulties. And kids will naturally choose the fastest ways to do things (just like us adults) so if they don't need the wall, they won't use it. For all these reasons, I allow students to use all of their references on assessments. 3: "How big is one word wall?" I photograph the word walls on a 4 foot x 10 foot wall. With spacing, this works out to the size of about 40 pieces of paper. 4: "I don't have any wall space. 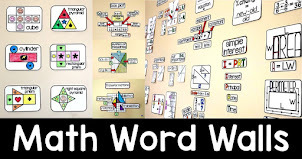 How can I make a math word wall work?" 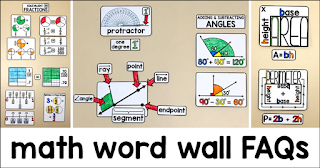 The word walls can be printed 2 per page to shrink them down for student notebooks. 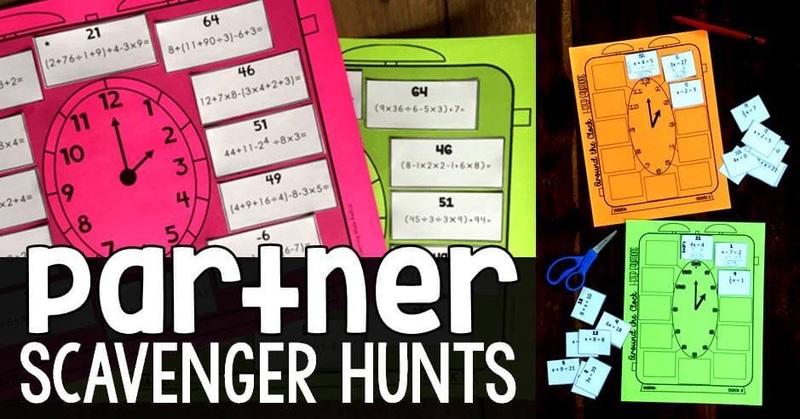 One time-saving idea is to then arrange these smaller pieces onto pieces of paper to photocopy for student notebooks. Every student would have his or her own miniature notebook word wall. 5: "I don't have my own classroom. 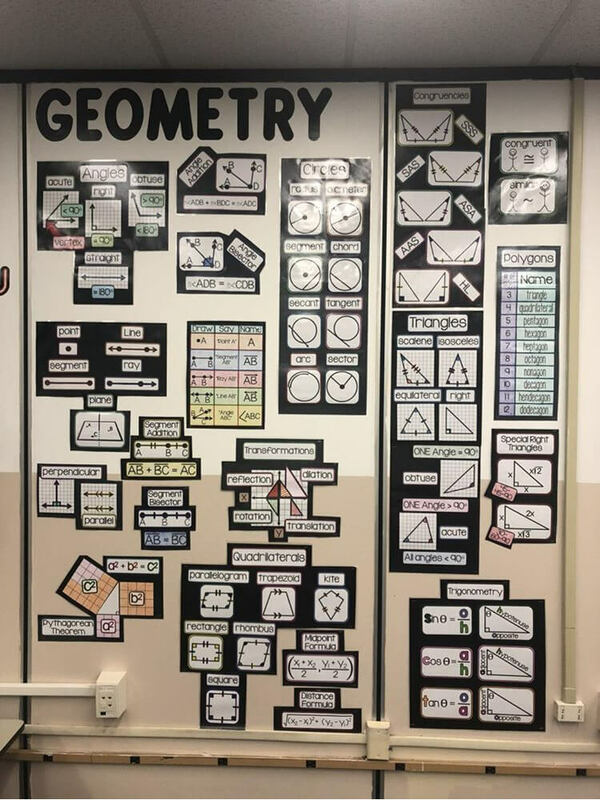 How can I have a math word wall?" I've been a cart teacher many years of my career. A teacher mentioned using foam board to make posters. 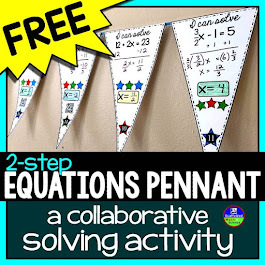 This way they are light, can be propped up on the whiteboard tray and stored away on a cart or in a corner when it's time to switch classrooms. I thought this was a great idea. 6: "How do you stick the pieces to the wall?" I like the blue loctite fun-tak. 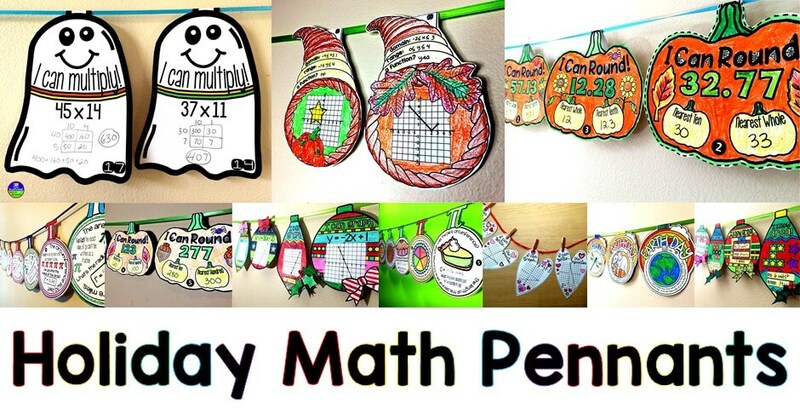 A probably better idea comes from Amy from the blog What Happens in First Grade. First, Amy puts the painters tape on the wall. Then she uses hot glue on the painter's tape. So genius. You can read Amy's blog post with more details here. 7: "What is included in your word walls?" 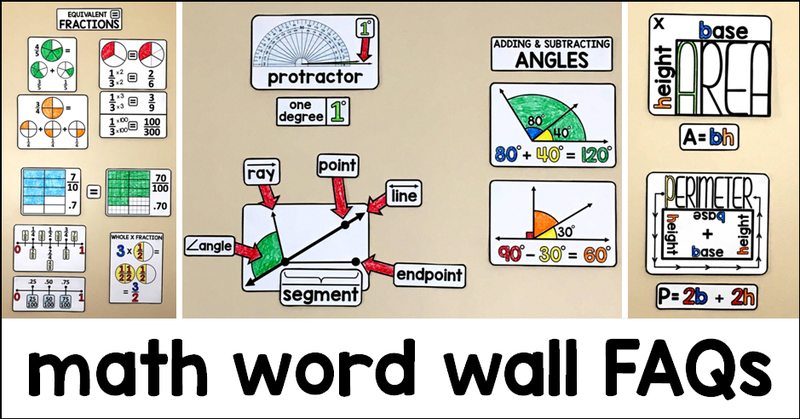 The preview of my All Math Word Walls bundle gives all the topics included in each grade-level math word wall. 8: "Do you have more photos to help with setup?" 9: "What font do you use?" Most of the fonts I have used are from Kimberly Geswein on Teachers pay Teachers. All of her fonts are free for personal use. 10: Why won't it print? Please download the word wall or bundle to your computer, then open from where you saved it before attempting to print. Printing directly from the download can confuse some computers. Also, if your print settings have a "fit" box, clicking this may help. 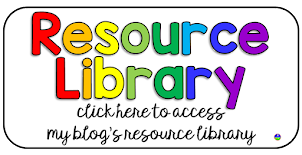 TpT has put together a page for pdf printing help here. 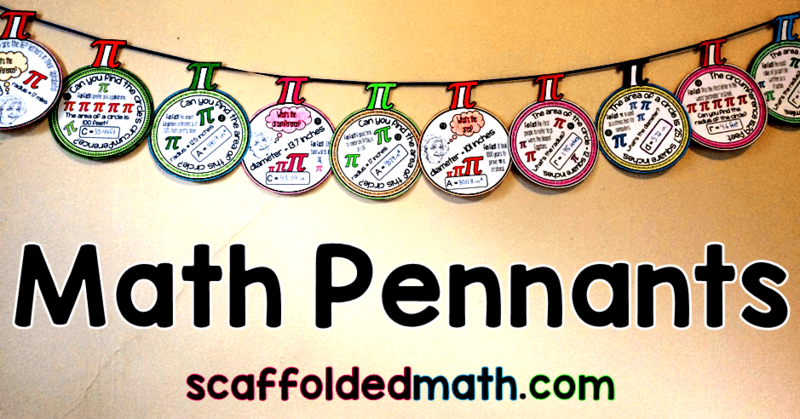 If you have any printing issues, I am always available via email (shana@scaffoldedmath.com). My oldest son is six and we're learning first grade math this year. Do you have elementary school word walls? The youngest as of now is 4th grade. 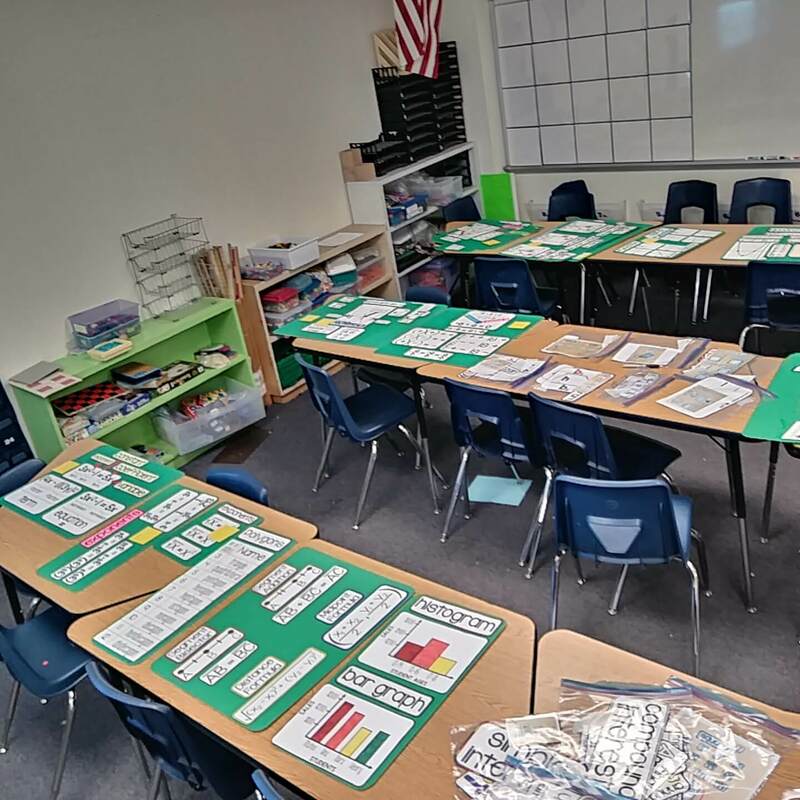 I will probably create a 3rd grade math word wall but no timeline on that quite yet. Thank you for asking this, Sonya. I need to put a list of words together for a friend who has volunteered to translate the rest of my word walls (Algebra 1 included) into Spanish. This should happen within a few weeks. 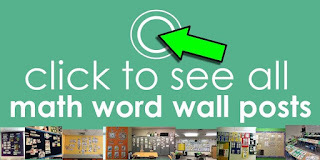 Is there a place to find the Word Wall in Spanish. 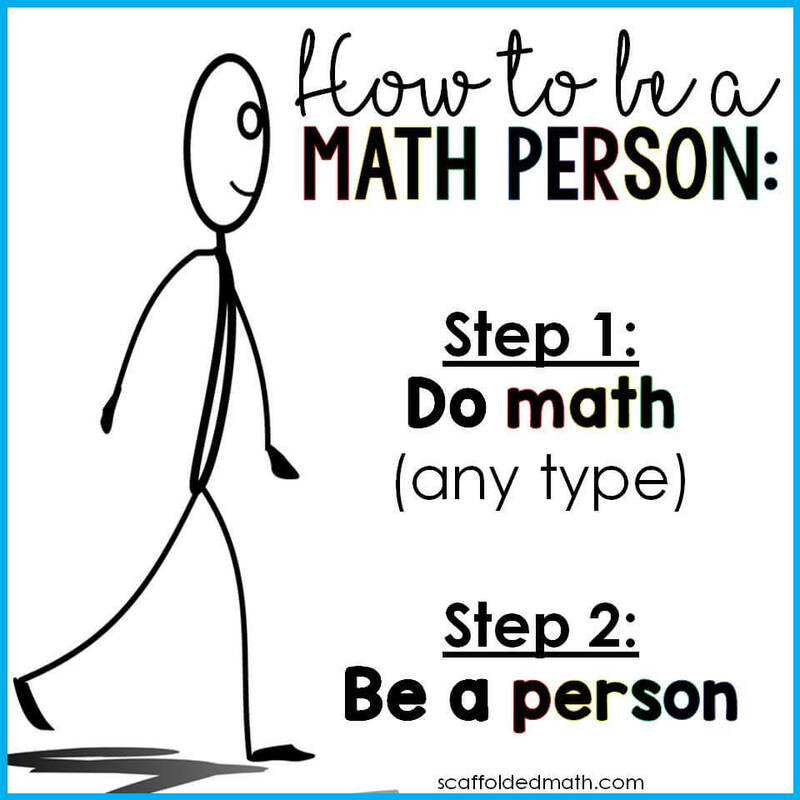 As a Math teacher that teaches in Spanish this would be so helpful. Thank you for asking. 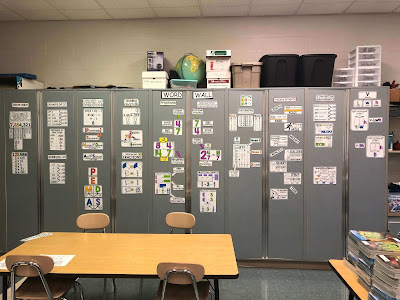 There are Spanish words in some of my math word walls but not all (yet!). 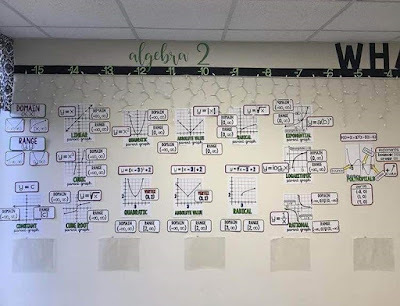 I do not know of any math word walls that are just in Spanish and I wish I was able to make this happen.